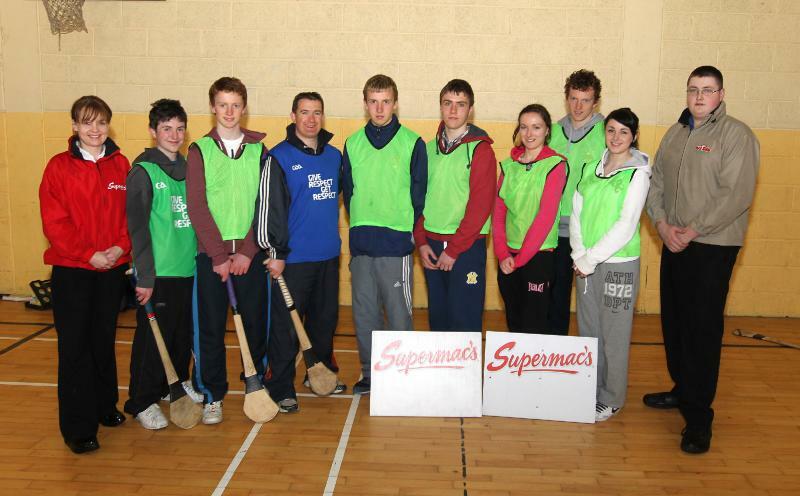 Supermacs Castlebar are again for 2013 sponsoring a six weeks schools Hurling Coaching programme being run by Castlebar Mitchels Hurling Club. Our pictures shows Joan Collins, Supermacs presenting a cheque to Gerry Lane, Hurling Club Chairman, with Club members Tony Stakelum, Paddy O'Brien, Eugene Connolly and (3rd from left) Gary Fahy, Supermacs. 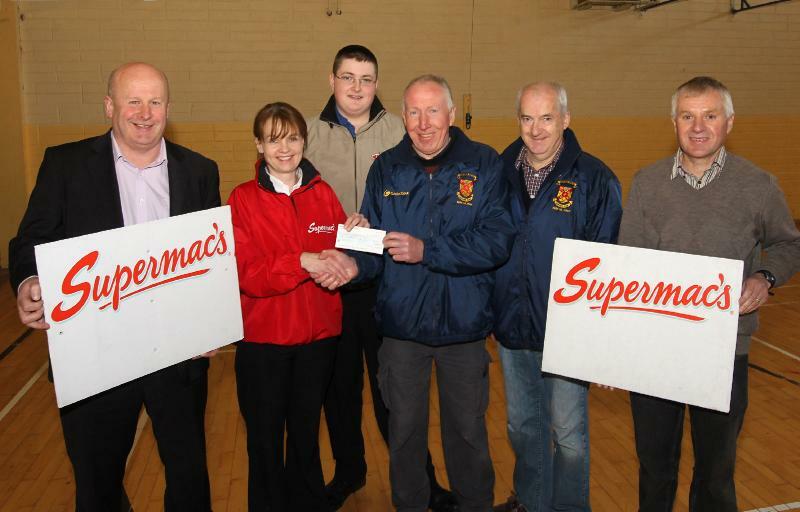 Joan Collins of Supermacs, Castlebar has joined with Castlebar Mitchels Hurling Club again for 2013 in sponsoring a six week Schools Hurling Coaching programme. Coaching will commence on Monday 13th May and run until Friday 21st June 2013. Pupils from second, third, fourth, fifth and sixth class will get the opportunity to play hurling. Equipment will be provided by the coaches. There will also be weekly competitions and prizes. New members are always welcome to join Caslebar Mitchels Hurling Club. Club training takes place every Wednesday from 6:00 to 7:00pm at Mc Hale Park.